R&M Plumbing and Heating is your direct source for clean and healthy water from every tap in your home. Join the tens-of-thousands of satisfied customers and see for yourself why the Pelican Premium Combo Series is the "Ultimate Home Appliance" for your family. Stop buying expensive bottled water or lugging salt, and start getting better than bottled water quality from every tap in your home while saving you time and money. We have many attractive offers for all new customers so please take this opportunity and schedule an appointment today to learn more about our products and services. Call (201)522-2058 or e-mail us at info@rmplumbingheating.com. The Pelican Combo Series combines the Pelican Carbon Series Whole House Water Filter along with the Pelican NaturSoft Salt Free Water Softener/Conditioner to give you better than bottled water quality from every tap. Stop hard water scale build up in its tracks, plus no more dry itchy skin, maintenance or wasted water, its time to see and feel the Pelican Difference for yourself. The Ultimate home appliance everyone can benefit from, even your beloved pets. The Pelican Pro 6-Stage reverse osmosis system produces high quality drinking water quickly and easily. The system features hygienically sealed filter cartridges and color-coded fittings for fast installation and easy service. Compared to a traditional RO system, the unique Pelican 6-Stage RO delivers 30% more flow from the faucet and the 50 gpd membrane quickly refills the storage tank. 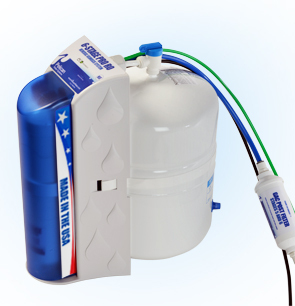 The Pelican NaturSoft Salt-Free Water Softener/Conditioner offers you tested & certified performance unmatched by any other salt-free system on the market along with a limited lifetime warranty on all tanks and parts. Pelican has the answer to your hard water problems without the use of salt or potassium. Stop hard water scale build up in its tracks, without the need for maintenance, wasted water or electricity, its time to see and feel the Pelican difference for yourself. The Pelican Greensand tank traps the iron with a filter media and gravel under bed then flushes it out with the backwash system. This new version improves its reduction of iron and manganese. The PC600 Premium Whole House Water Filter utilizes a multi stage filtration process to filter the water going into you home. The PC600 uses the highest grade carbons available on the market which were designed /developed to significantly reduce chlorine and hundreds of the potential contaminants and harmful chemicals. 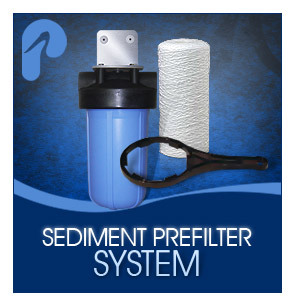 This 5-micron sediment pre-filter system is recommended for heavy sediment. This kit comes complete with everything you will need for installation. Great for high sediment in your water supply, 5-micron pre-filter systems helps protect your new filter system and your home appliances from the damaging effects of sediment build up. The sediment in city or well water can clog faucets, damage appliances and even change the taste of your drinking water. 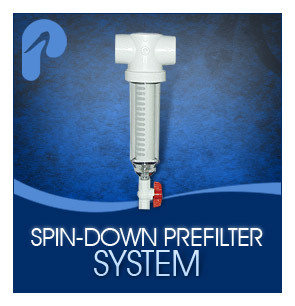 Pre-filter systems filter down to 20 times smaller than the diameter of a human hair. 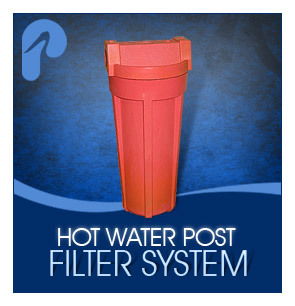 We recommend hot water post filter systems for homes with a tankless hot water heater to trap any dissolved solids that may precipitate out during the water heating process. Tankless hot water heaters cause water to heat up instantly which can boil the water and in turn precipitate out dissolved solids that may be present in the water supply. This system will eliminate clogging of shower heads and faucets that were once clogged from sediment coming from the tankless hot water heater.